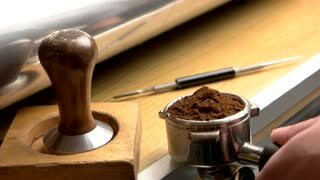 Ground coffee in portafilter. 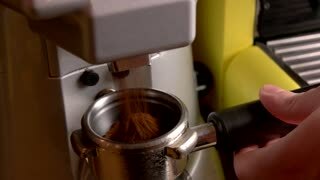 Coffee grinder in action. 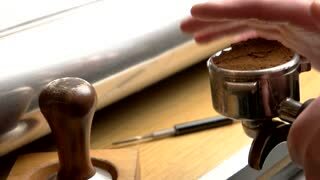 Coffee pours through portafilter. Fresh hot coffee. 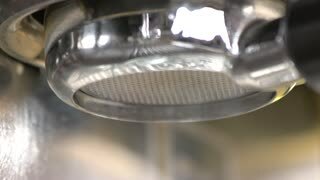 Coffee pouring through portafilter. 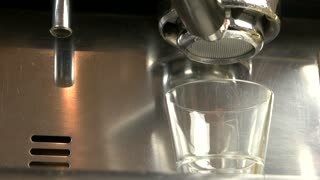 Coffee making machine and glass. Coffee machine with bottomless portafilter. Espresso dripping into a glass. 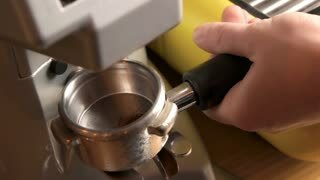 Male hand tamping coffee. Portafilter and tamper. 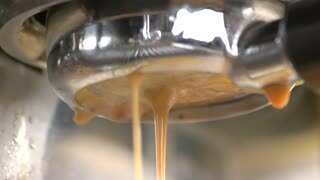 Coffee pouring from portafilter. Coffee machine in action. Male hand and coffee grinder. 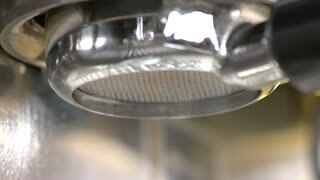 Portafilter with ground coffee.